Witnesses told police they heard a gunshot. True or not, the victim of the attempted murder, Arthur Joiner, certainly received a gash on his forehead when he was struck down on the steps of the El Grotto Lounge, 65 years ago this week. “It was affectionately known as the Bloody Corner,” said Johnny Bristol, “because somebody got bloody every weekend. Except us, thank God.” The late Motown songwriter/producer was recalling the nightclub where he and singing partner Jackey Beavers used to perform at the dawn of the 1960s. Fist fights and brawls were common; once, a triple shooting involved the bar’s doorman. Welcome to Battle Creek, Michigan, about 120 miles west of Detroit, and to the city's notorious El Grotto at South Kendall Street and Hamblin Avenue, where Johnny & Jackey, Al Green, Wade Flemons and the Dells, among others, once played. The lounge also presented burlesque shows, and sometimes the girls did snake dances. With live snakes. The pair’s ambition eventually brought them into contact with Billy Davis and Gwen Gordy’s Anna Records, and later with Harvey Fuqua, Gwen’s husband. Johnny & Jackey recorded for Anna, and for Fuqua’s Tri-Phi label. No surprise, then, that Bristol should enlist Junior into this circle. His first 45 on Tri-Phi followed in early 1962. When Harvey sold his business to Berry Gordy in 1963, Walker became wedded to Motown. The resulting records were, of course, wonderful – gritty, rockin’ and (mostly) raw – and you know well the chronology and the commerce: “Shotgun,” “Shake And Fingerpop,” “(I’m A) Road Runner,” “How Sweet It Is (To Be Loved By You),” “What Does It Take (To Win Your Love)” and more, accumulating a total of thirteen Billboard Top 10 R&B hits between 1965 and 1972. Not to mention honours from the Grammy Hall of Fame and the Rhythm & Blues Foundation, plus that improbable pop-up solo in Foreigner’s “Urgent" in 1981. But, in retrospect, what intrigued me most about Walker was his nonchalance. Not for him Marvin Gaye’s anguish, or David Ruffin’s ego. He just seemed to want to make music and money, preferably on the road, paid in cash. It’s the Chuck Berry business model, if anything, without the underage girls. Van Dyke added that on “Shotgun,” he had to dub over the guitar of the All Stars’ Vic Thomas with the fretwork of session pros Joe Messina and Eddie Willis. Ultimately, such a switch-up didn’t matter. 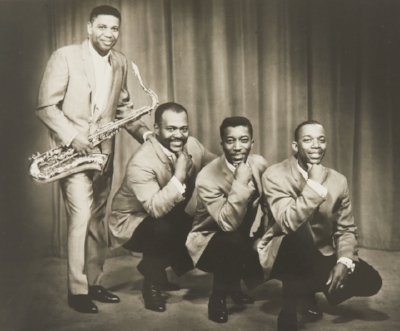 The record was a five-alarm R&B and pop smash – the band’s first – and it fired up their booking fees. That’s an understatement. Junior pulled off “(I'm A) Road Runner” and then some. In fact, he recorded sufficient material for more than 15 Motown albums to be released during his working life. The biggest seller? Greatest Hits, issued in 1969. The best retrospective? Nothin' But Soul: The Singles 1962-1983, released in 1994. So Jr. Walker & the All Stars have stood time’s test, and have obviously influenced others, too. In 1990, Jobete Music sued Steve Winwood, contending that the British musician’s “Roll With It” substantially infringed the copyright of “(I’m A) Road Runner.” Eventually, the claim was settled, to Jobete’s advantage.